If you still savour charging headlong into expansive skirmishes, then Warriors Orochi 3 Hyper has you covered. Koei Tecmo delivers this port for Wii U, seeking to elevate the version beyond that achieved earlier in the year on PlayStation 3 and Xbox 360. 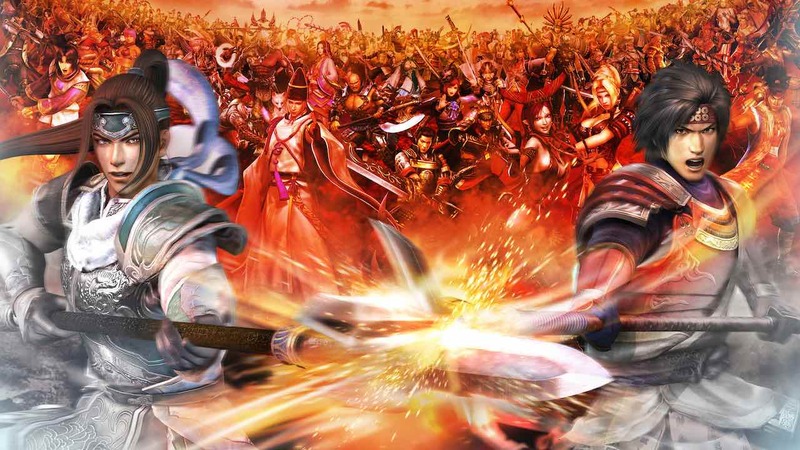 The game’s Story Mode picks up several years following the events of Warriors Orochi 2, in which heroes across China and Japan fought in a war against the Serpent King Orochi. The Hydra, an eight-headed serpent, now ravages the lands and has successfully managed to defeat all generals and warriors within its wake. In aiding its destructive campaign, the demonic Kiyomori Taira was also revived and has gathered his forces to support the devastation wrought upon the kingdom. Those heroes that have survived gather to plan a final attack to neutralise the beast, yet once again fail. Before meeting their inevitable fate, Kaguya, a princess from the Mystic Realm, suddenly transports the trio (Ma Chao, Sima Zhao, and Hanbei Takenaka) back in time. With such depleted numbers they are told that they will never be able to defeat the Hydra, therefore finding themselves tasked them with travelling back in time and rewriting history to save fallen heroes and comrades. It is within Story Mode that you’ll spend the majority of your play time with Warriors Orochi 3 Hyper, and rightly so as it proves to be the game’s greatest asset. Whilst I usually decry the series’ unending hack ‘n slash formula, there is a certain allure here that draws you in. This is largely helped by a roster that exceeds 100 characters, with the ability to use three characters with differing attack styles allowing you to alter your combat approach at whim. There’s plenty of content here to keep you occupied too with missions also being diverse, either tasking you with rushing to defend specific locations, protecting characters or neutralising enemy positions and/or war machines. Such variance is welcome and sprinkles unpredictability as to what the next battle will hold. Growth Points acquired through completing battles can be freely distributed amongst your allies to improve their statistics and level them up. This proves useful for improving characters that you either don’t readily use as much, or have only recently become available to you, ensuring that they remain at a similar level of capability. Alongside this, Free Mode allows you to replay any battles that have been previously unlocked through the Story Mode, whereas Musou Battlefields provides you with the opportunity to customise battles, play them and upload them online so that other players can also do so. Granting further differentiation, Koei Tecmo delivers exclusive content to this Wii U version in the form of Duel Mode. This can be played alone, and through local or online multiplayer, and proves a welcome addition to the game. You firstly select three playable characters that you have unlocked, then choosing four strategy cards that possess special powers that may be used during duels. They’re divided into four differing types – Attack, Impede, Support and Special – with the player expending Battle Points to use them, acquired as you fight. These add bonuses once used, such as reducing the strength of your opponent’s attack, restoring Musou or temporarily providing statistic boosts to your chosen character. Once your choices have been made, you’ll then find yourself in an arena and directly facing your opponent. You battle as a tag team of sorts, able to freely switch between your characters and call on each to periodically step in with an additional attack. It works well, clearly enjoyable more against friends rather than the overtly challenging CPU, and rewards the player with Growth Points and Crystals that can be carried across to Story Mode. Sadly, despite being supported by online matchmaking capabilities, we’re continually met with the message “No players are currently seeking allies.” There must be Warriors fans out there somewhere, but we haven’t crossed paths as yet. Extra content is also provided, with players able to view a recap that covers the previous events within the Warriors Orochi series, as well as cutscenes unlocked through playing the game’s Story Mode and a continual barrage of character wallpapers. If one aspect holds Warriors Orochi 3 Hyper from achieving its potential, it is that the draw distances are relatively poor. For a series famed for promising hundreds of enemies on-screen at any given moment, it’s disappointing that we’re still encountering issues where you’re only ever able to see those that are a few meters in front of you. The rest pop up as you advance, making it hard to predict where best to direct your attacks to counter any incoming danger. The reasons for this are clear, with the framerate often becoming inconsistent as the game struggles to keep up when higher volumes of enemies pour on-screen. Nevertheless, Warriors Orochi 3 Hyper still amounts to an enjoyable experience for those that choose to invest their time in it. Simplistic and repetitive, but a formula that proves that it is still able to retain its magic.